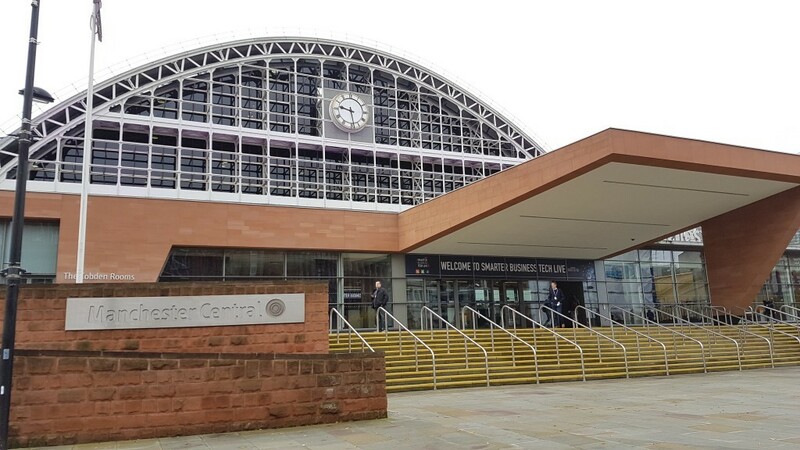 I recently went to the Smarter Business Tech Live exhibition in Manchester. It’s a brand new 2-day business technology solutions event, designed for the small and mid-size enterprise sector – providing business management teams with the latest intelligence and tech-based solutions for optimisation. 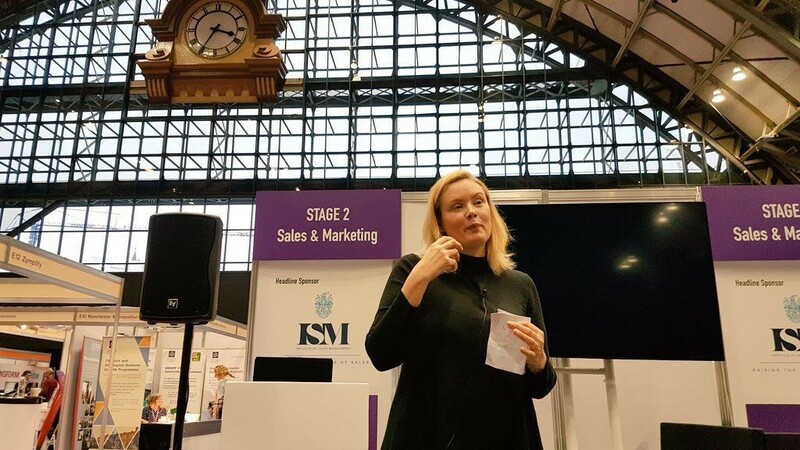 A lot of companies which you might recognised exhibited at the event and a great line-up of speakers including the Mayor of Greater Manchester and tech advocate, Andrew Burnham. I thought I’d share my experience of the event. I’m pretty new to this whole hub of networking events in and around Manchester. To be honest, as an Apprentice, the sound of networking actually terrifies me. I mean, how do you get out there and make connections with people who have so much more knowledge than you? Seems pretty intimidating to me! I’ll admit my exterior shows off that I’m a confident person, but deep inside I’m a nervous wreck – but I like to give things a try, and this was one challenge I wasn’t going to back down from (mostly because our co-director Simon is always encouraging me to get out there and establish myself as a person). 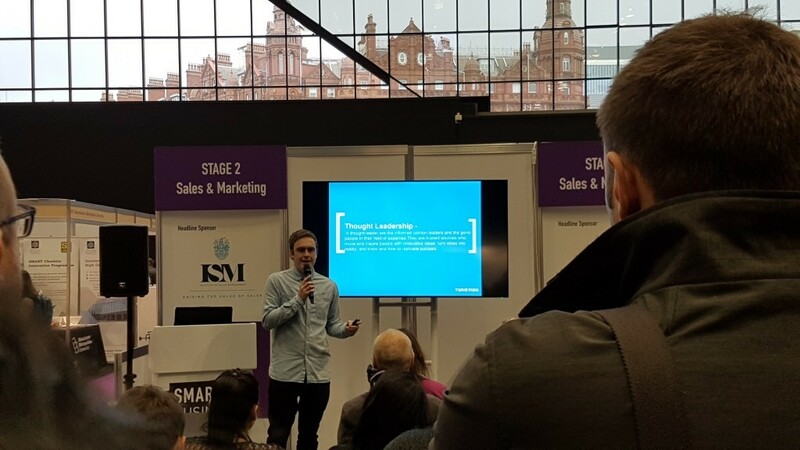 I wanted to go to the Smarter Business Tech Live (SBTL) exhibition not only to get some insight into the different types of businesses out there, but also to overcome the fear of making connections which – let’s admit – is awkward. But once you establish something that you have in common, it’s absolutely amazing what conversations strike up. I had a talk with a couple of people, mostly to gain knowledge about what opportunities that are available once my Level 4 Diploma is completed. I had interesting conversations about the CIM qualifications and higher levels of Apprenticeships which caught my interest. There was about 5 stands including Manchester Metropolitan, which were talking about Degree Apprenticeships and more; which would benefit a lot of Apprentices that were attending that day. I was quite surprised to learn that this week in Manchester there are approximately 80 networking events taking place. And this is being applauded by Sam (Founder of Tuna Fish Media), who built his company from connecting with people. It’s definitely inspirational seeing speakers who are full of passion and authenticity. Debates included whether dogs should be allowed in office (hell yeah!) #PushONDoggyDayCare) and whether axe-throwing is a great way to meet people. 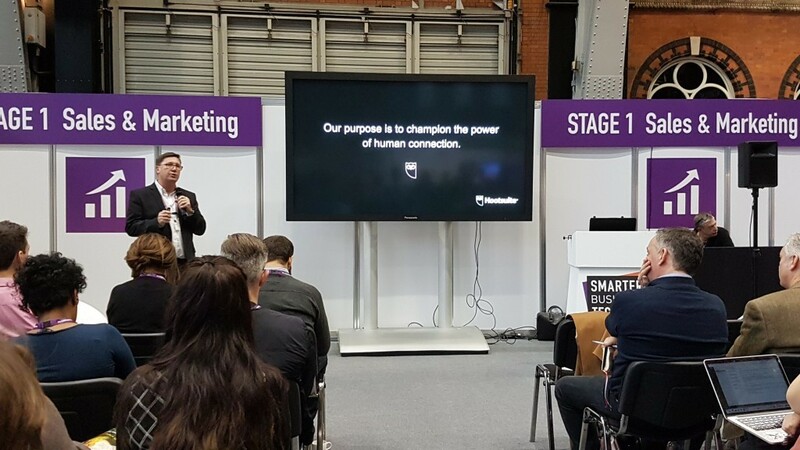 There was a common theme that ran throughout the day, which was humanising marketing efforts, which Hootsuite’s Rob Coyne pointed out in his talk. He highlights that we should fall in love with customer problems, not tech solutions in an attempt to put humans first, always. My favourite speaker, Naomi Timperley, always does a brilliant job of being her authentic self; she never fails to leave me feeling motivated. By the end of the talk we were all chanting – which got a few stares – and better informed about being more human in the digital industry. I’m probably being an absolute dork (what I really want to say is censored) when I say I’m quite shy about going to events like this – after all I am a beginner and I’m amongst some people who have been in the industry for more years than I’ve been alive! I’m setting myself some personal goals (which can be considered professional too) to get myself into more networking events, at least one per month! I’m curious to find out how you guys feel about networking events and how have you dealt with that awkward stage. Leave a comments or Tweet me your thoughts, I’d love to know regardless of what position you’re in.